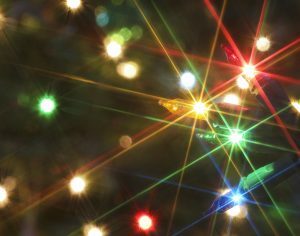 Holiday Lighting Orem: Create a Festive Home This Year! The holidays are just around the corner, and at Lumen Lighting in Orem, there’s nothing we love more than seeing a truly festive home or business. If you love hanging holiday lights on your house, but you don’t have the time to do it this year, we can help! With our holiday lighting hanging and installation services, you can have the festive exterior you want without ever having to set foot on a ladder. Bright White or Classic Color? 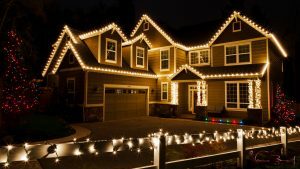 There are all types of holiday lights out there, and many homeowners opt for the bright white string lights for their property. The all-white look can make your home look very sophisticated, but that doesn’t mean that color is a bad thing. Colored bulbs are making a comeback, and if you’re thinking of a red and green or green and blue combination this year, we can come up with the perfect design for your home. If your home has a lot of exterior to hang lights on, it’s important to know where to start. We can come up with the best approach for your house, making sure to highlight any architectural features such as your gabled roof, a prominent arch, and anything else you want people to be able to see from the street. We’ll start in the middle, making sure to capture the depth of your home’s horizontal features, such as an extended roof, the fascia, and the front of the porch. It’s not always necessary to cover the entire house with lights, since capturing the important features can create the look you want. Chances are you already have some pathway lights or garden lights in your yard, but that doesn’t mean you don’t want to highlight and decorate your landscaping during the holiday months. Putting lights on a tree or on the shrubbery in front of your home can add a great dynamic to your property. If you have small trees lining your walkway, you can light them and provide an illuminated path to your front door. Even trees that are bare following autumn can look great with lights on them! Hanging holiday lights can take quite a bit of time and energy, and often includes having to get up on a ladder or on your roof. This can be precarious, especially if there’s ice and snow on the ground. Our professional team knows how to approach each installation project safely, and we’ll make sure that the finished look is exactly what you want. If you want to create a festive atmosphere around your home or business this season, contact Lumen Lighting in Orem today. We’re proud to serve people from Ogden to Provo, and we’d love nothing more than to help you come up with the perfect lighting design. Fill out the form below to get in touch with a member of our team, or give us a call at (801) 683-2100. We look forward to hearing from you this holiday season!